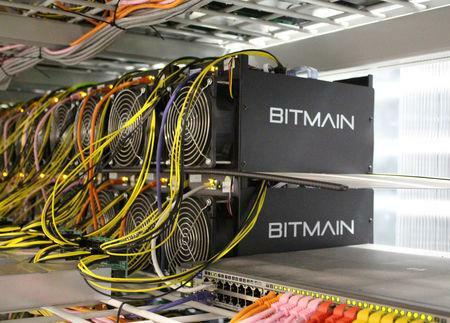 HONG KONG (Reuters) - Bitmain Technologies, the world's largest designer of products for mining cryptocurrencies, on Tuesday let its application for a Hong Kong initial public offering (IPO) lapse, becoming the latest cryptocurrency company to shelve plans to go public. Bitmain's application lapsed on Tuesday, six months after it was filed, the Hong Kong stock exchange's website showed. "We do recognize that despite the huge potential of the cryptocurrency and blockchain industry, it remains a relatively young industry which is proving its value," the company said on its website. "We will restart the listing application work at an appropriate time in the future." Sources had previously told Reuters the company was aiming to raise at least $3 billion in its IPO. Bitmain also named Haichao Wang as CEO of the company while Micree Zhan and Jihan Wu, the co-founders of Bitmain, will continue to be directors. The reputation of cryptocurrencies, and particularly exchanges, has been hit by fears of price volatility as well as high-profile hacks and infrastructure failures. Hong Kong officials had raised questions about the sustainability of miners' business models given the falling price of bitcoin, sources have said. The crypto market peaked in late 2017, when trading volumes surged and bitcoin, the largest cryptocurrency, reached a high just above $20,000. Bitcoin's price has fallen more than 80 percent since then, and trading volumes have slumped. 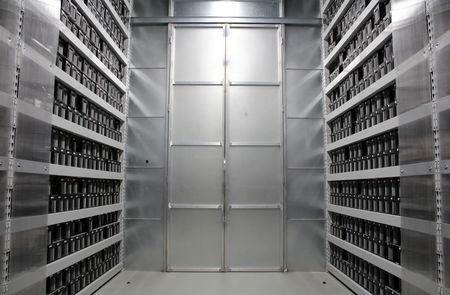 Smaller cryptocurrency mining equipment maker Canaan Inc, let its own IPO application lapse last year. This leaves cryptocurrency mining equipment maker Ebang International Holdings as the only one currently in the running for a listing in the financial hub. Ebang refiled its application in December to avoid its lapsing.